The illegal trade in animals and their body parts has been going on for decades. Black markets have been brimming with pangolin scales; elephant ivory, tiger skins, rhino horns and exotic pets for years, but more recently, a new fad has been emerging as Asia’s elephants are being poached for their skin. Hidden in the dense forests, Myanmar’s elephants are witnessing a drastic decline as they succumb to this growing, illicit trade. Ranked the fourth largest global illegal trade after drugs, arms and human trafficking, illegal wildlife trade is a sophisticated business with an even more sophisticated distribution network. Mong-La in northeast Myanmar, a protectorate area of China well-known for gambling, prostitution and illegal trade of wildlife products, is one of the main destinations where elephant ivory, bones and skin are sold. Elephants are endangered across Asia, with only an estimated 40,000 remaining in the wild today – a 90% decline compared to a century ago. 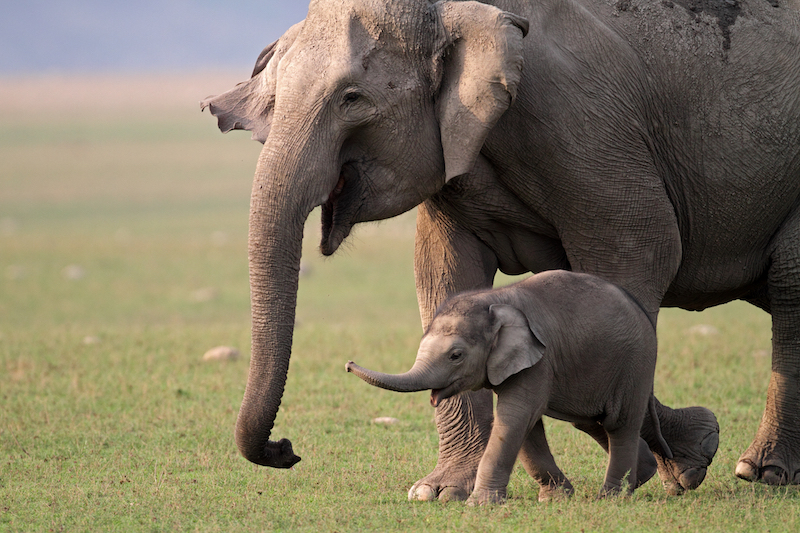 Myanmar retains some of the largest areas of habitat left for Asian elephants and possibly the third largest (yet declining) population of wild Asian elephants after India and Sri Lanka. The country now has as few as 2,000 wild elephants and 6,000 timber elephants left. It is estimated that if the current rate of poaching in the country continues, Myanmar’s elephant population could soon be completely wiped out. In 2015 alone, 36 wild elephants were reported to have been killed, with experts believing that many poaching incidents went unnoticed. Last year, Elephant Family – an NGO dedicated to protecting the Asian elephant – funded one of the first ever undercover investigations across Myanmar and China to unravel the growing trade for elephant skin and make this issue known. The findings revealed that elephant poaching in Myanmar is indeed increasing, fuelled by the demand from neighboring China. The skin is cut up, dried and sold on the black market believed to ‘treat’ a number of ailments such as eczema and digestive problems. The investigation also revealed that the skin is being cut into cubes, dried and carved into polished beads for jewellery. While elephant ivory remains the most valuable part of an elephant, the growing demand for elephant skin and other parts continues to drive up the demand for elephant poaching in Myanmar, further decimating its already fragile elephant population. This year alone, a herd of 20 elephant carcasses including calves, were found in two sites across Myanmar’s forest stripped off their skin. But Elephant Family and its partners are determined to crackdown on poachers and stop the trade. Last October, we presented our investigation findings at the CITES Conference of Parties (CoP17) in Johannesburg to make this issue known, calling on range states to tighten procedures to stop trade. Our ongoing efforts were made visible when our calls to action were successfully incorporated and passed at the Convention. Our next steps are to build the capacity of regional police, customs and wildlife officials within targeted countries in order to better detect and prosecute cross-border and wildlife trade. If Elephant Family can continue to secure a war chest of funds and carry out further investigations to establish the full extent of this abhorrent trade, we can invest in stronger intelligence and understand more clearly who is trafficking and supplying elephant products, allowing us to crackdown on end markets once and for all and sources fuelling the trade. So this week, to commemorate World Elephant Day, let us shine a multi-coloured spotlight on Myanmar’s elephants to raise awareness and much needed funds for this little known yet growing trade -a threat that has never been greater. Our combined efforts can help save Asia’s elephants and stop the trade from escalating up to the level of elephant ivory and rhino horn, while we still have time.